Our seasonal lawncare solutions at Good N’ Green, LLC are designed to keep your residential or commercial property looking its very best regardless of the season. 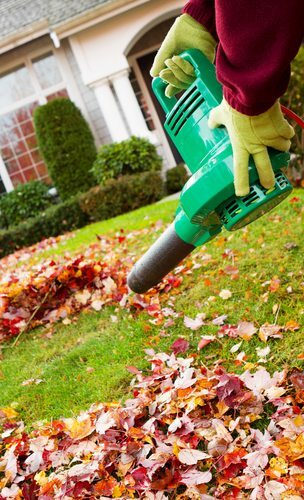 We offer seasonal lawn maintenance and flower bed preparation services in the spring to get your lawn healthy and prepared for the new plantlife, and we can provide timely and organized leaf removal services in the fall to keep your yard clean, healthy and mildew-free. We also offer mulching services to further enhance the longterm results of your lawn care experience. One of the reasons our seasonal lawn care services are so popular is because they are completely customizable to fit the unique needs of your property. Different commercial and residential yards can have very different needs. We make it a point to provide seasonal lawn services that are especially beneficial to your lawn’s grass type, and to the flowers, trees, shrubs, and other plants in your yard. We invite you to contact us at 757-679-1222 today if you’re ready to schedule a seasonal lawn care service or if you have any questions we can answer. Good N' Green, LLC offers seasonal lawn care including leaf removal, and more to Chesapeake, Virginia and nearby communities.